The conference rooms at the Rural Innovation Centre are the perfect venue for meetings, presentations to clients, team talks and away days. The rooms are light and modern and equipped with a projector, wifi, flip chart and white board. Refreshments are provided and we can arrange lunch if required, when booked in advance, for an additional charge. Transport connections to the Rural Innovation Centre are excellent; we are just 10 minutes drive from Warwick, Leamington Spa, Coventry, M40, M69, M6, A45 and A46, meaning we are easily accessible. Space to seat up to 8 people round a boardroom table, or up to 15 people theatre style. 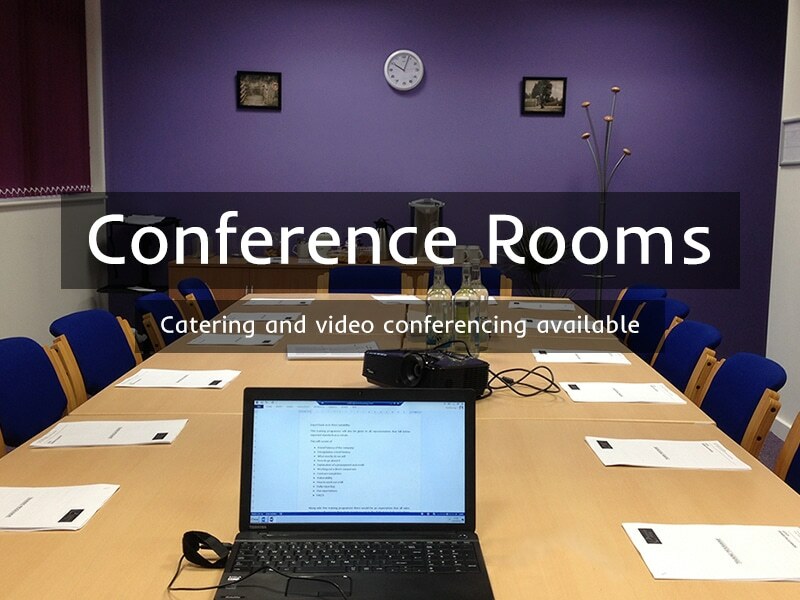 Email enquiries@ricoffices.co.uk to book a Conference Room or use the quick contact form to enquire now.